As serviced office spaces continue to gain popularity and momentum in the corporate world, numerous myths and misconceptions are being generated. Many of these myths are now being mistaken for facts. Contrary to popular belief, renting serviced office spaces can actually help you improve your company’s overall businesses practices by increasing efficiency, productivity, and the general employee morale. Before you settle on a specific rental package, however, you should take all of the requirements of your business into consideration and conduct as much research as possible. Reading through the following list of myths regarding renting serviced office spaces is a good place to start. Renting a serviced office space is actually a much cheaper alternative to entering into a long-term and legally binding lease agreement for a traditional office space in the sense that you get a lot more bang for your buck. This is the ideal option for companies that are working within the confines of a very strict budget. The reason this is a much more financially feasible option for a lot of modern companies is because most serviced office providers typically include the cost of amenities, equipment, and certain facilities within their fees whereas these things come at an additional cost with traditional office space rental agreements. While this might have been the case when the notion of serviced office space for rent was initially introduced, it’s slowly becoming obsolete. As an increasing number of businesses modify their daily practices and models to fit the modern requirements of their employees, CEOs are slowly realizing and taking advantage of the many perks that come with renting office space on a temporary basis. The value of using rental serviced office spaces stems from the fact that they’re all-inclusive and most providers offer a variety of package options so that you only have to pay for whatever resources you actually use rather than being forced to sign a generic agreement with preset terms and conditions. In other words, a large number of medium and large enterprises are also jumping on the bandwagon. Since its inception, the implementation of serviced office space rentals has actually turned the traditional structure of a rental agreement contract on its head. As mentioned, you no longer have to sign and abide by a contract with predetermined terms and conditions or pricing that you don’t agree with or can’t afford. Renting a serviced office space not only gives you more options and flexibility, but it also leaves a great deal of room for negotiations for both parties—your company and the office space provider. You can determine which amenities and types of equipment are essential for running your business and which ones aren’t, either ahead of time or on a pay-as-you-go basis with the office space provider. The latter is typically the more sensible option as it can sometimes be difficult to predict ahead of time which amenities and pieces of equipment you’ll be using in the future. Of course, if you do need to make amendments to your contract or payment plant, you always have the freedom to do so by the nature of serviced office space lease agreements. The quality, speed, and security level of the Internet depends on a number of factors including: the location of the office building (proximity to satellite towers); your service provider; the amount of bandwidth you have; and the number of people sharing the network simultaneously. Some serviced office space providers offer comprehensive packages that include Internet usage whereas others require you to install your own bandwidth separately. In some cases, you might even be required to share your bandwidth with other companies that are also renting space in the same location. This is something you should look into before signing any short-term or long-term contracts. Again, this is a feature that’s offered by select serviced office space providers and not all of them are obligated to do so. However, the majority of serviced office space rental companies understand that there’s a great deal of value in guaranteeing that all of the technical needs of their clients are met, and they choose to provide this service as a standard feature included in their rental packages. This is completely false. The whole point of serviced office space rentals is to offer the utmost flexibility and convenience for businesses of any caliber. In this day and age, that usually means offering flexible hours of operation that allow businesspeople to complete their work and conduct electronic meetings at all hours of the day or night. This is especially useful in light of the fact that most modern companies have employees and clients working and living in remote locations. Actually, working in a serviced office affords you many opportunities to network with likeminded and talented individuals who work in various fields of expertise that are either similar to yours or could benefit you in some way. The possibilities for spontaneous collaborations are endless when working within the type of close-knit environment provided by a serviced office space. The reality is that you never really know who you’ll be sharing the space with, whether you’re working on the same floor or in the same office space as employees from other companies. Serviced office spaces help to create ample working environments that foster a culture of innovation. Despite the irrefutable fact that most modern businesses have taken on a more relaxed stance in the sense that they allow the majority of their employees to work remotely, occasionally they can still benefit from face-to-face meetings and conferences. 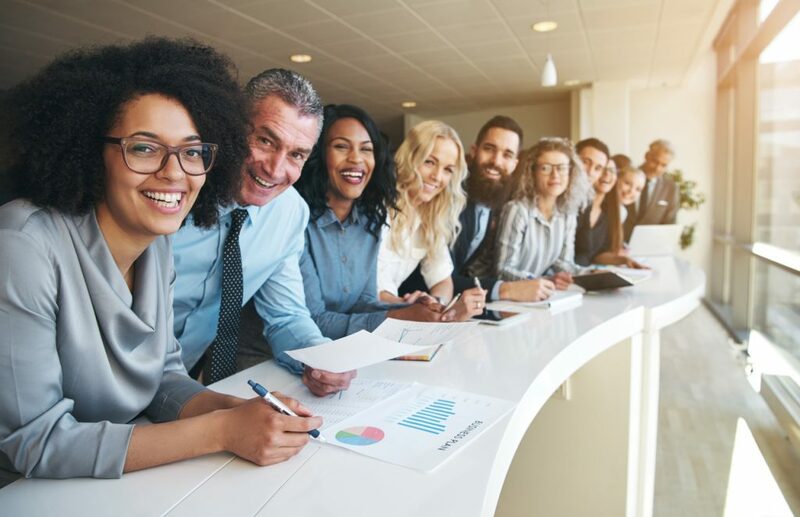 Taking the time to meet with your employees and plan companywide events creates an unparalleled atmosphere of inclusion and unity that can immeasurably boost employee morale. On top of that, while many employees might enjoy working from home or remote locations for the most part, sometimes it makes sense for them to come into the office to collaborate on projects with their coworkers. It makes them feel like they’re part of a cohesive team while providing a good platform for effective communication of ideas. Most serviced office space providers have 24-hour state-of-the-art security systems in place for the privacy and protection of your employees. They understand that depending on the nature of your business, some of your employees may be required to work long or unusual hours in order to contact coworkers or clients in other parts of the world. The bottom line is that serviced office spaces are completely secure and some of them even hire experienced security personnel or concierges to monitor all of the comings and goings within the building. There’s bound to be a little bit of chaos any time you decide to uproot and relocate your entire business whether you’re moving just down the street or to a different city. The difference between moving to a serviced office space versus a traditional leased office space is that everything will already be set up and available for you to use. Traditional leased office spaces usually don’t come fully furnished or equipped with computers and you usually have to install your own phone lines and Internet cables; whereas, when you lease a serviced office space, everything is already set up and ready to use upon your arrival. That means you don’t have to worry about renting a moving truck to transport all of your old office equipment, which will save you a lot of money in the long run. Innovative Professional Offices is a proprietor of state-of-the-art fully furnished serviced office spaces for business professionals at every level including freelance workers, entrepreneurs, or solopreneurs. We also cater to small, medium, and large enterprises that simply require a temporary physical location11 Myths About Serviced Offices Busted to conduct their business dealings. Whether you’re looking to rent a meeting room or boardroom for an afternoon, or even if you need to procure an office space for an indefinite period of tim, we’re confident that we have the ideal location for you in Toronto, Ottawa, Mississauga, or Brampton. To learn more about our extensive services or to book a complimentary tour of one of our premises, please contact us.